An Indian linguist and anthropologist who is globally revered for his work on dying languages, Ganesh Devy has researched and documented 780 living Indian languages. 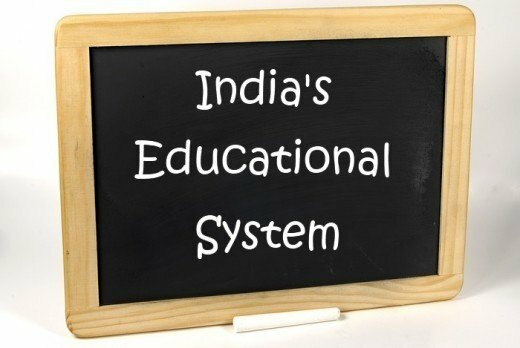 He says that offering reservation quotas alone will not solve the problem of social exclusion in the country’s education system which is headed for “failure”. Devy’s latest book, “The Crisis Within” (Aleph/Rs 399/130 pages), argues that it is of critical importance that the plight of educational institutions and the need to generate knowledge appropriate to India are addressed without any delay. “Dalits and tribals are left out of higher education in a conspicuous way. We think that offering reservation quotas will solve the problem. We have never thought of making the tribal view of the world or the Dalit view of society as the core of education. Unless that happens, their inclusion will not be complete or satisfactory,” Devy said in interview ahead of the book’s launch. “Their exclusion affects our knowledge production as their unique ‘memory traditions’ do not feed into shaping our collective memory. Thus we need to look at the margins not merely as social sectors requiring justice and inclusion, but also as the substance of knowledge. This alone will make India a first rate producer of knowledge,” said Devy, who led the People’s Linguistic Survey of India. The author, recipient the Sahitya Akademi Award for “After Amnesia” and the SAARC Writers’ Foundation Award for his work with denotified tribals, lamented the fact that students in India are imparted skills instead of knowledge. “I am not convinced that knowledge institutions in India today are imparting ‘knowledge’. What they impart is skills. The ability to ask meaningful questions is not at the centre of educational processes, though a few exceptional institutions and individuals in the system do this. We require a major recasting of the role that school plays in the life of the children and in the life of the society,” he said. Devy said that globally we are in the bottom 30 percent in terms of expenditure on education and regretted that we belong to the tail end among the nations of the world in terms of access to high-school and higher education. Noting that our research capacity and output are not yet seen as significant by the international community of researchers, he anticipated that if the situations continues as it is, we shall become the world’s most prominent example of an “educationally failed nation”. Devy is widely known for his work on Indian languages but surprisingly he is not, in principle, against the use of English language as the mode of education in private schools. “English is a powerful language. Yet, it is an established scientific principle that early education in the mother tongue helps in the proper development of cognitive faculties and the ability for abstraction. Besides, if education in English is economically unaffordable, the craze for sending children to those schools leads parents to adopt all means — ethical or unethical — for supporting the child’s education. The cumulative effect of the rise of English schools in India on Indian languages is going to be negative. “That would lead us into difficulties while conceptualising our cultural history. When a large number of such children get into positions of authority, their collective amnesia about cultural history can pave an easy way for false historical narratives and a fascist political environment,” he added. Matters related to education and knowledge in India can no longer be left entirely to the government bureaucracies to decide, he said. A lot many thinkers, educationists and citizens will have to dedicate themselves to provide experimental solutions that can be scaled up. “We may be able to do this. But all present indications point to a probable failure,” he contended. “The Crisis Within” attempts to offer a clear picture of the mistakes that have been committed in the past, confronts the present decline of knowledge and education in the country, and offers a vision for the future.